"Rents are rising because of strong demand that supply hasn't kept up with. Nearly all the new households are renters, and young people moving out of their parents' homes will keep fueling rental demand." 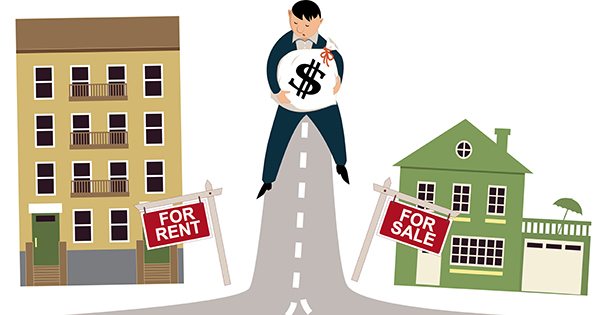 Where are rents headed in 2015? "Home value appreciation will continue to cool down, from roughly 6 percent now to around 2.5 percent by the end of 2015. But rents will see no such slowdown, and will continue to grow around 3.5 percent annually throughout 2015. As renters' costs keep going up, I expect the allure of fixed mortgage payments and a more stable housing market will entice many more otherwise content renters into the housing market." “Paying more on rent makes it harder for would-be homebuyers to save for a down payment." "Landlords should still be able to push asking rent increases on to their tenants." If you are thinking about buying a home in 2015 instead of continuing to rent, it probably makes sense.